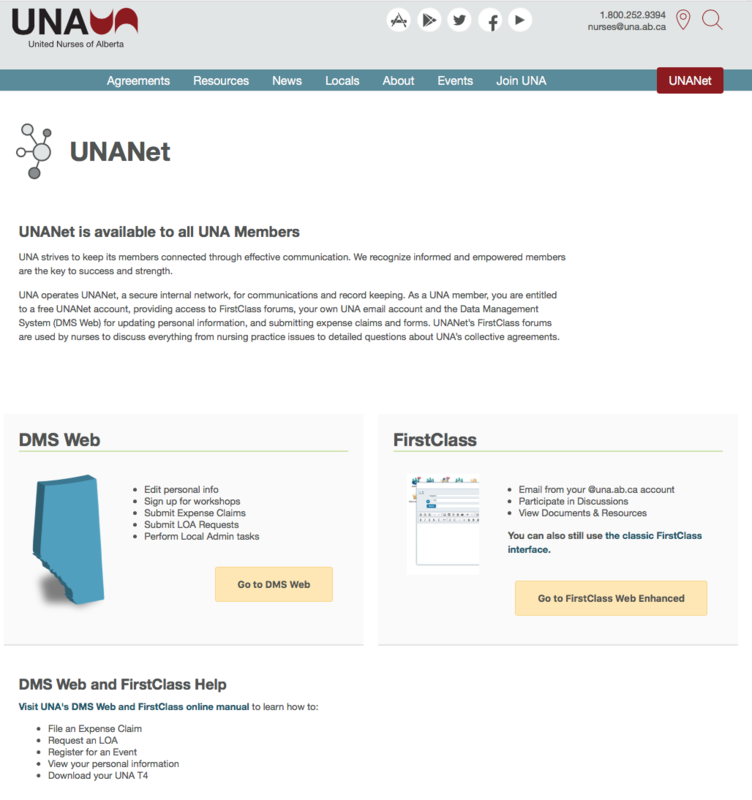 UNANet provides all UNA members with communication and data management tools. 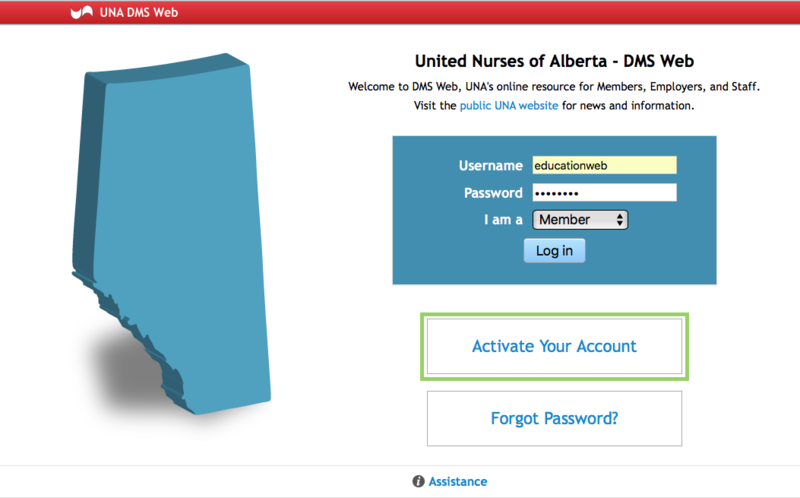 FirstClass is the delivery system for all online communication among United Nurses of Alberta members, UNA staff, and others. Being able to use this application efficiently helps you stay informed. The following topics are based on questions from UNA members. 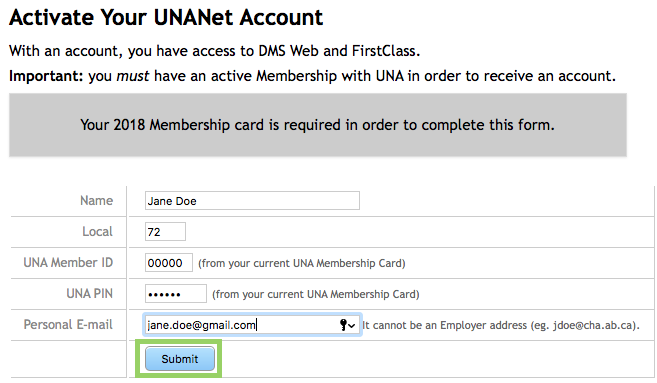 Who qualifies for a UNANet Account? Any member of UNA in good standing. Have access to a computer with online access. 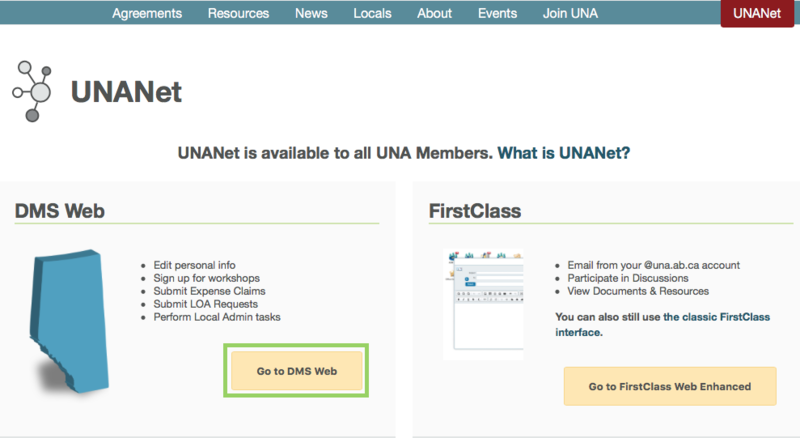 Click the red UNANet button in the upper right hand corner of the page. Find the yellow Activate my account button and click to open the application form. 3. Complete the required fields in the registration form and then click Submit. 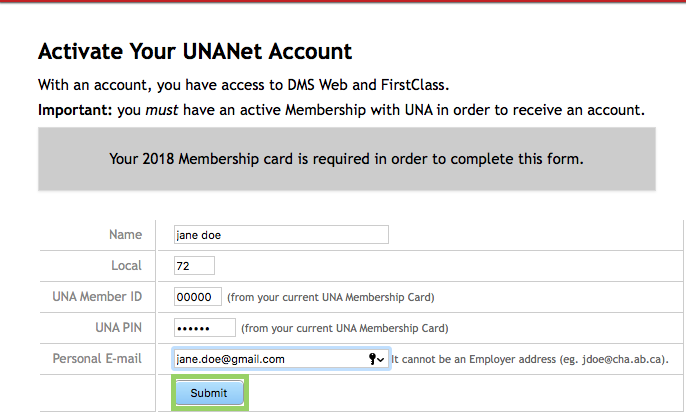 From the UNA webpage click the Go to DMS Web. Click on Activate Your Account. Make NOTE of your user name and password. The ID and password combination works in FirstClass and the DMS web. The Account is immediately available for your use upon submitting the form.